Flu season is right around the corner, and if you live in Charlotte, NC, you may be asking the question “Where do I get a flu shot?” The answer is FastMed Urgent Care. FastMed is a walk-in clinic with two locations in Charlotte, NC. We provide flu shots and other vaccinations and do not require an appointment. Each year the length and severity of flu season is different than the previous year. Medical experts cannot even predict when flu season will start, how bad it will be, and when it will end. If you’ve asked yourself “Where do I get a flu shot?”, don’t wait until the last minute. The CDC recommends everyone 6 months of age and older receive a yearly the flu shot. You should get it shortly after the vaccine is available, which is usually around October. 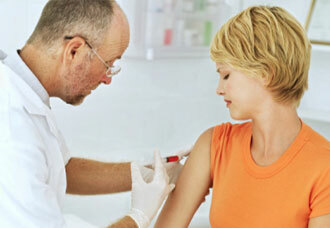 What Are The Benefits of Getting a Flu Shot at FastMed in Charlotte, NC? The flu vaccine may prevent you from getting sick from the flu. When you protect yourself from the flu, you are also protecting the people around you. The flu vaccine may protect people who are at greater risk of getting seriously ill from the flu (older adults, people with health conditions, young children). The flu vaccine might lessen the severity of your symptoms if you do get sick. The flu vaccine can also reduce the risk of more serious outcomes, like hospitalizations and death. If you live in Charlotte, NC, you don’t have to wonder “where do I get a flu shot?” anymore. We offer flu shots for children and adults, and our services are covered by most insurance providers. All FastMed Urgent Care locations are open extended hours, so you can get your flu shot at a time that is convenient for you.